Iranian official says Tehran will punish Israel for recent air strike on airbase in Syria. The secretary of Iran’s Supreme National Security Council, Ali Shamkhani, vowed on Tuesday that Tehran would punish Israel in response to the recent air strike on the T-4 airbase in Homs, Syria, in which several Iranian soldiers and officers were killed. "The Islamic Republic paid a high price to establish regional security and to fight radical Islamic terrorism, and therefore it cannot sit idly by in the face of the alarming escalation which undermines security that is expressed in the steps of the United States, the Zionist entity and some of their allies," Shamkhani told reporters before leaving for Russia. Shamkhani noted that the presence of the Iranian advisors in Syria began at the request of the legitimate Syrian government and that its goal was fighting terror, adding that in the end the advisors played a significant role in the defeat inflicted on the extremists in the region. "Punishing the Zionist entity is inevitable, but the question of when, where and how to respond to the aggressor (Israel) will be determined by the Islamic Republic of Iran," he stated. Russia, Iran and Syria have all accused Israel of carrying out the Homs strike. Israeli leaders have not publicly said that Israel was responsible for the strike. Prime MInister Binyamin Netanyahu alluded to Israel’s role, saying it reserved the right to use preemptive strikes against threats to its security. 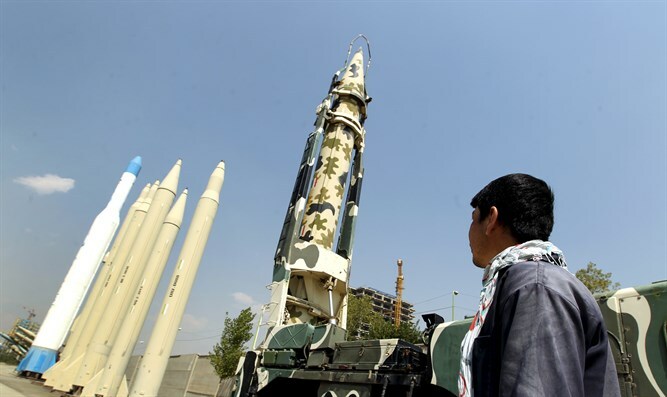 A report last week said the attack targeted an advanced Iranian air-defense system and took place with tacit American support. Shamkhani is not the first Iranian official to have threatened to retaliate against Israel for the air strike. The deputy head of Iran’s Revolutionary Guards, Brigadier General Hossein Salami, threatened Israel on Friday, warning the Jewish state that its military bases were within reach. Several days earlier, Brigadier General Kioumars Heydari, the commander of the Iranian ground forces, said that "the date has already been set" for the destruction of Israel.